Wow! Don’t just hire any property inspector off the street for your roofing inspection! Did you know that less than 6 out of every 100 roofing contractors int the Texas roofing industry are HAAG Certified Roofing Inspectors? Why should you hire Final Cut Roofing for your roofing inspections or home inspections? Well you probably guessed it. Final Cut Roofing is a HAAG Certified Roofing Inspector. HAAG Engineering is the nation’s industry leader in the forensics of roof damage detection from roof hail damage and roof wind damage. 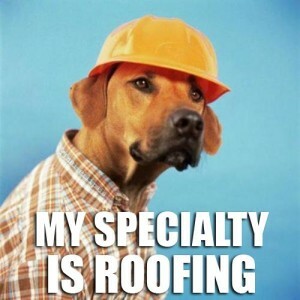 In fact, insurance companies prefer you to hire a HAAG Certified Roof Inspector. Many of our friends who are home inspectors and realtors have come to depend on us for their for their house inspection if the property has suffered storm damage from a hail storm. we can diagnose your roof correctly the first time. We’re experts in Roof Leak Detection and Hail Damage Detection. Because we’ve mastered the art of finding roof leaks, we’ve become the experts in preventing them. Which two areas on your roof are the most vulnerable areas for a roof leak? What makes us different from all other roofing companies is that we will use your garden hose to isolate a particular area of your roof. Next, we’ll attempt to access the area located above the roof leak through your attic, if attic space is accessible. This process has a 95% success rate at locating a roof leak. It’s part of our Roof Leak Detection services that we offer. It’s the best and smartest method to locate a leak. Without this method, customers end up spending hundreds of dollars paying for the same roof repair multiple times because the previous roofing companies were simply guessing as to where the roof leak was coming from. With Final Cut Roofing, you can rest assured knowing that we’re not in the guessing business. We’ll physically locate your roof leak before we perform any roof repairs. That’s our promise to you! When it comes to Roof Hail Damage Detection, no other roofing company has a more thorough home inspection checklist than Final Cut Roofing. There is a lot of very important information you need to know before hiring a roofing contractor to be your house inspector. 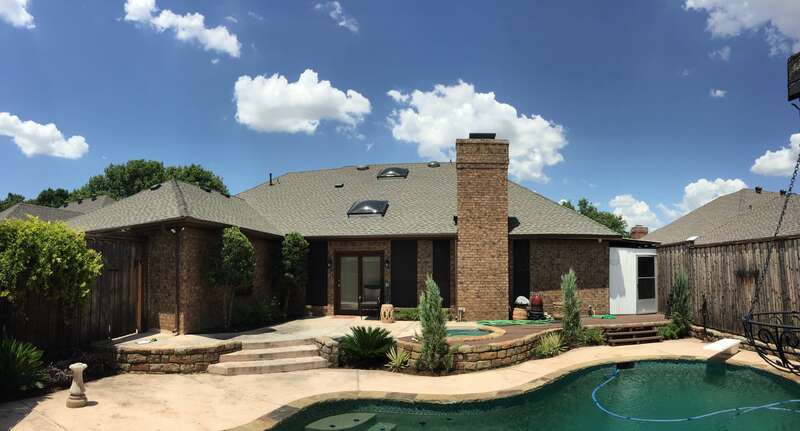 Each insurance is regulated by The Texas Department of Insurance, however, each insurance company has a slightly different criteria to meet in order to compensate a property owner for a full roof replacement. To put it in insurance terms, your roof has to have a specific type, and amount, of damage to be considered a total loss. Hiring an unqualified roofing contractor may result in the insurance company denying your claim and rejecting the building inspection. So, let’s take a look at the picture below. It’s very important to be able to determine the directional path of hail damage. 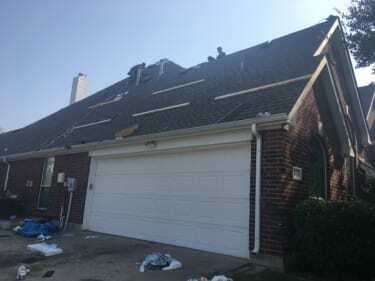 As you can see from the image above, the impact of the hail damage on the right side of the roof are going to leave behind different types of damage than the impact on the left side of the roof. Every year, we handle numerous calls from home owners confused as to why their insurance company only paid for half of a roof. We have successfully over turn a denied insurance claim through filing for a second property inspection or a re-inspection. Having us present during the time when your insurance adjuster arrives is extremely important so that we can point out the different types of damage and identifying the directional path of the hail damage. That is why our Insurance Claims Assistance is one of our most valuable services we offer. Got more questions about our Roofing Inspections Services? Give us a call today at 1-888-618-3271 or send us a quick message. Visit our News Page for more information on a variety of topics and discussions. REQUEST A FREE ROOFING INSPECTION!